You’ve received yet another request to cook a meal for a postpartum mother/serve on a school committee/ give charity. 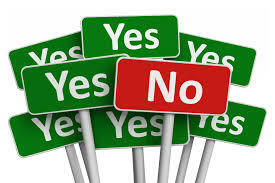 How can you know whether to say “yes” or “no”? Some wise thoughts for JewishMOMs from Rebbetzin Tziporah Heller on establishing healthy boundaries regarding chesed. I really wish I would have had such advice when my kids were younger. can you please write the name of the book again, thanx. this was a really helpful talk – thank you so much for it! happy to hear:) thank you!! So when these requests to do chessed come, is this Hashem testing us to make the right decision? When our mentally challenged guest calls with a different number and i pick up the phone, i feel that Hashem is telling me that i’m ready to try again, so I acquiesce to a visit and end up very sorry that i did. I liked your advice to imagine what will be at the end and through this make my decision. Yes, I think this is a constant test from Hashem–to make the right decision. Thanks – I needed this! This was interesting, thank you but I have the following issue. Lets say that I am asked about the four children and my first thoughts are oh no by the end of the week I’ll be a wreck. But I agree to do it anyway because I feel that it is so important and perhaps nobody else would do it. And then what happens is that everything turns out fine, one day a neighbor comes round and helps me out unexpectedly, another day a friend offers to take these children etc. etc. and by the end of the week I see that Hashem helped me in a huge way and I’m so glad that I agreed because my daughter ended up being best friends with one of their children! So, how do you know if the right answer is YES even if you fear that it might be a disaster? ?